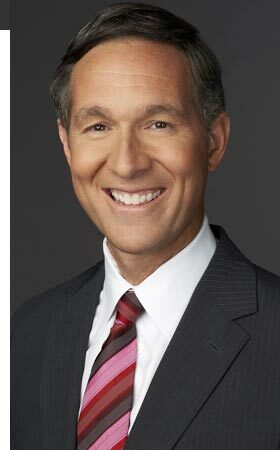 Gary Tuchman is a CNN national correspondent based in Atlanta, having joined the network in 1990. He is a staff correspondent for the Anderson Cooper 360 program. Tuchman has covered the biggest stories of our times in his years at CNN. He arrived in Japan the morning after the devastating earthquake and tsunami and reported from the hard hit towns on Japans northeast coast. He also spent months in Haiti covering the earthquake that killed more than 300 thousand people. His live reports the morning after the quake amid the rubble proved stunning to viewers around the world who up until then, had no way of knowing the intensity of the devastation. In between both quakes, Tuchman was in Copiapo, Chile, covering the rescue of the 33 Chile miners who had been trapped underground. He reported live from the rescue site as the miners were triumphantly raised to safety. Earlier in 2010, Tuchman was one of the few international reporters who were able to get to Iceland to report first hand on the volcanic eruption that led to the cancellation of thousands of flights across the globe. Tuchman flew up to the erupting Eyjafjallajokull volcano in a helicopter. The video taken from only a few hundred yards to the west (the winds were blowing east) gave viewers an incredible look at the power of the eruption. Tuchman also spent part of 2010 reporting for the documentary What the Pope Knew. The documentary provided evidence that Cardinal Joseph Ratzinger, now Pope Benedict, had direct knowledge that priests who had committed sexual molestations were being protected by the Church. Tuchman has also spent much time in the border regions of Mexico, reporting on the drug war and the grotesque violence that goes along with it. He has also done many stories on the polygamist cult known as the FLDS (Fundamentalist Church of Jesus Christ of Latter-Day Saints), and the child sexual abuse that has been practiced by many within the sect. During the 2008 election, he spent weeks in Alaska; investigating and covering GOP vice presidential candidate Sarah Palin. He also spent time on the trail reporting on both John McCain and Barack Obama. He covered the inauguration of Obama and also provided live reports at one of that nights inaugural balls. In 2007, Tuchman became one of the very few reporters allowed into a coal mine during a search and rescue operation. The drama at the Crandall Canyon mine turned out to be tragic. Not only did all the miners die, but rescuers (including one who trained Tuchman for his trip into the mine) were killed days later in another collapse. Tuchman spent much of the summer and fall of 2005 covering hurricanes Katrina, Rita and Wilma in Louisiana, Mississippi, Florida and Texas. In 2003, Tuchman reported as an embedded journalist with the U.S. Air Force during the war in Iraq, arriving days before the war began. He also went back to Iraq in 2006; once again going on missions with members of the U.S. Air Force. In 2002, Tuchman traveled to Afghanistan; spending weeks reporting throughout the country. He covered the nations first Loya Jirga since the fall of the Taliban; the traditional way Afghans selected their new leaders. Tuchman has covered all the U.S. presidential elections during the years hes been with CNN. The day after the Sept. 11, 2001, terrorist attacks, Tuchman began reporting from Ground Zero in New York City, providing constant updates and detailed descriptions of the devastation. Additionally, he covered the tragedy of the Space Shuttle Columbia disaster, the D.C.-area sniper case, the anthrax scare, the crash of TWA Flight 800, and the capture of the Unabomber in Montana. Most recently, Tuchman's reporting contributed to two 2011 Emmy Awards for AC 360's Haiti earthquake coverage. He was nominated for a 2010 Emmy award for his reporting of a scandal in Texas in which police officers steal from minority motorists. Tuchman's reporting also contributed to a 2010 George Foster Peabody Award for coverage of the Gulf Oil Spill; a 2009 Peabody Award for coverage of the Presidential Primary contests, a 2005 Peabody Award for Hurricane Katrina coverage, and a 1996 Emmy Award for the coverage of the Oklahoma City bombing. Before joining CNN, Tuchman worked for five years as an anchor and reporter at WPEC-TV, the CBS affiliate in West Palm Beach, Fla., where he specialized in political reporting. While at WPEC-TV, Tuchman did a series on the Intifada from the Gaza Strip and West Bank and received an Emmy Award nomination for the series. Before working at WPEC-TV, Tuchman served as the primary anchor and reporter for WBOC-TV, the CBS affiliate in Salisbury, Md. Tuchman received several Associated Press awards while at WPEC-TV for excellence in documentary, enterprise and spot news reporting. Tuchman earned a Bachelor of Science degree in broadcast journalism from Boston University. In 2003, the university honored him with its Distinguished Alumni Award.